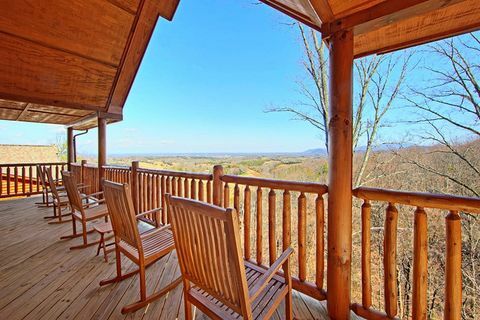 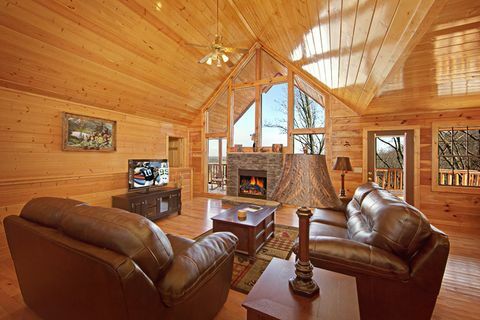 Come relax in "Shokonohey," a Gatlinburg cabin rental near Dollywood. A 4-bedroom resort cabin near Gatlinburg in Hidden Springs Resort provides vacationers with both outdoor and indoor resort swimming pool access, fantastic Smoky Mountain views, and comfortable cabin amenities. 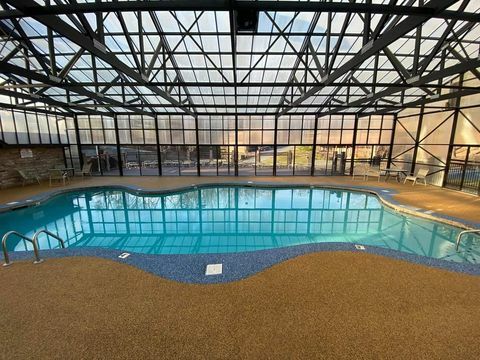 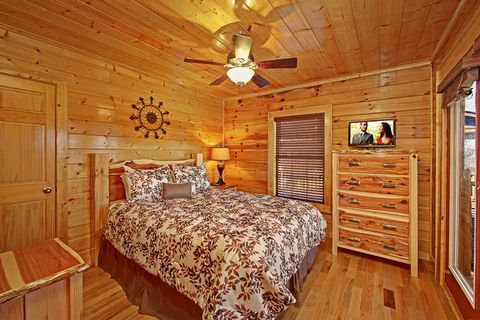 "Shakonohey" offers guests 5-star accommodations about a mile from Dollywood and Dollywood Splash Country, and you're just minutes from Downtown Pigeon Forge or nearby Gatlinburg. 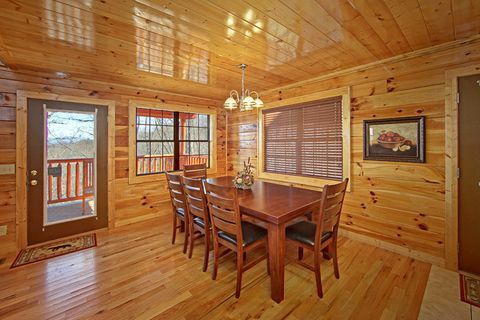 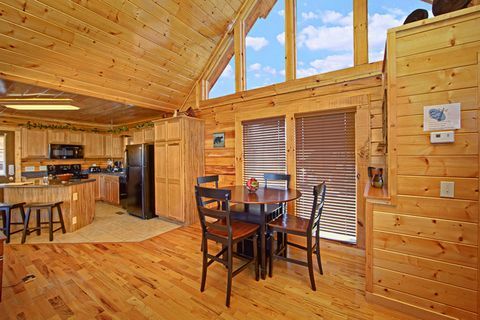 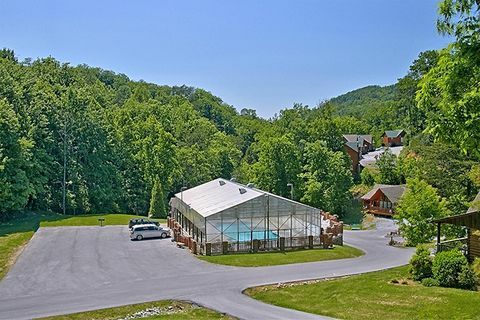 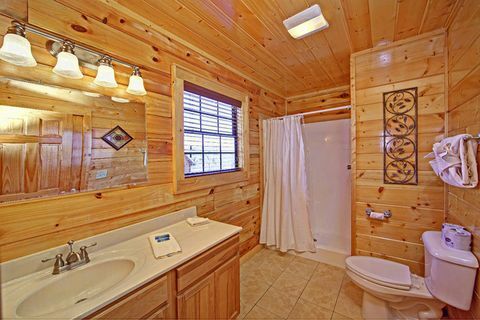 Your resort cabin near Gatlinburg accommodates up to 12 guests quite comfortably. 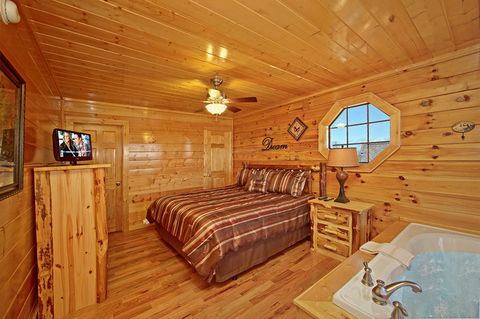 The master suite, located on the main level, features a king bed, in-room jacuzzi, full bath, and personal television. 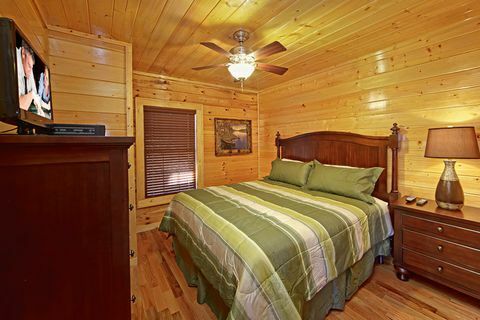 Two of three lower level bedrooms provide king beds and a full bath, while the other bedroom features a cozy queen bed. 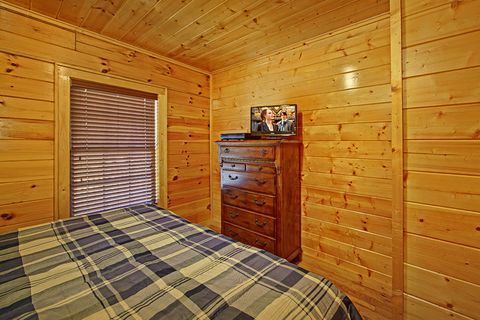 All three bedrooms offer their own television. 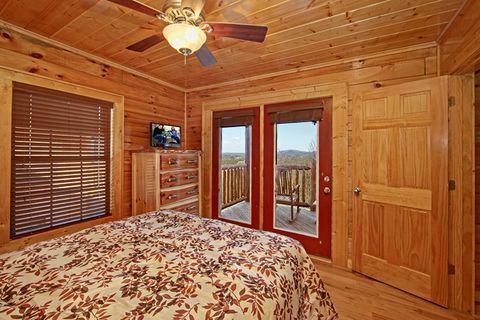 Sleeper sofas are available on both levels of your Gatlinburg cabin rental near Dollywood for additional sleeping accommodations. 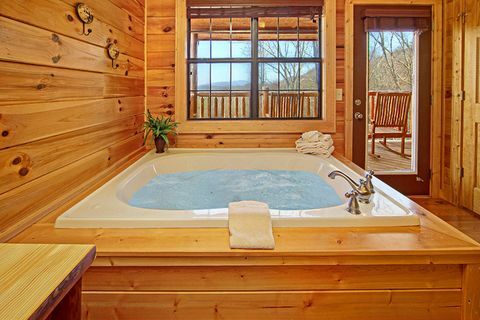 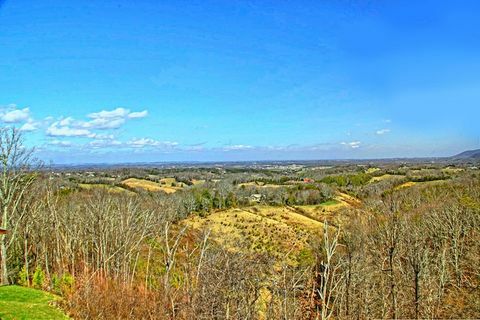 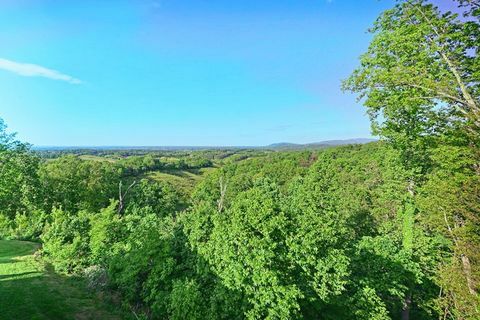 After a full day of fun at Dollywood or nearby Pigeon Forge-Gatlinburg attractions, you're bound to want to return to "Shakonohey" for some relaxation. 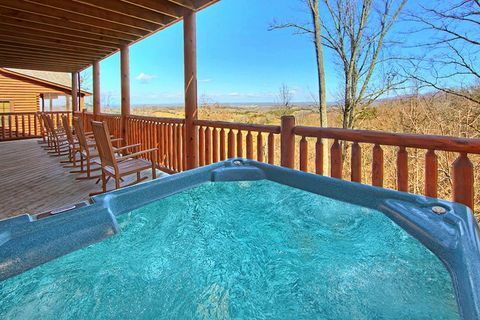 Watch an awesome Smoky Mountains sunset from your relaxing year-round hot tub or take a dip in either of Hidden Springs Resort’s outdoor and indoor swimming pools. 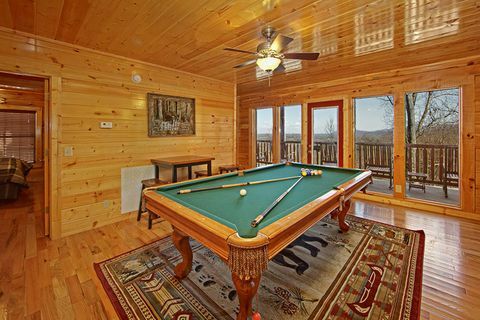 For more family entertainment, there's your cabin game room's full-size pool table, seating area perfect for game days, and WiFi Internet for streaming games and movies throughout the cabin. 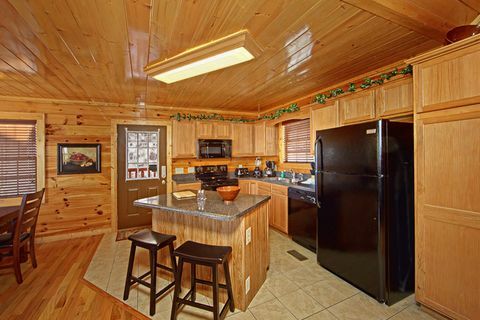 "Shakonohey" boasts a fully equipped kitchen, charcoal grill, dining room seating for 10, and plenty of porch rockers for the preparation and enjoyment of anytime meals and snacks at your cabin, providing great cost savings. 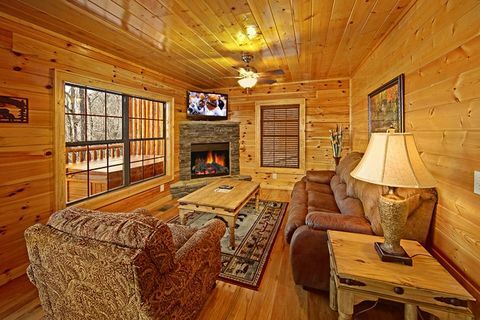 After dinner, you may wish to watch satellite television while enjoying the warm glow from either of two electric fireplaces. 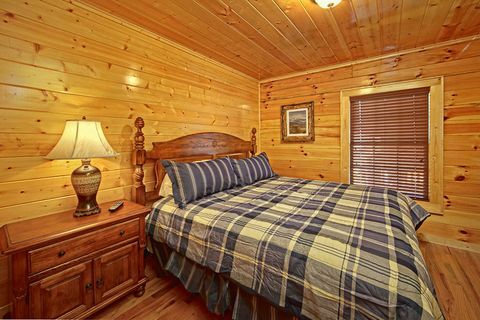 The Gatlinburg-Pigeon Forge area is the perfect family vacation destination and "Shakonohey's" 5 Star rating assures you're getting a superior resort cabin. 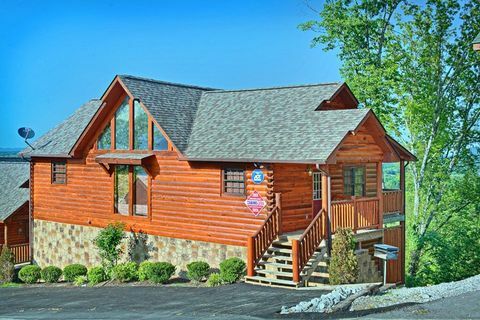 SAVE when you book your Gatlinburg cabin rental near Dollywood online with Cabins USA Gatlinburg for an immediate Online Special!